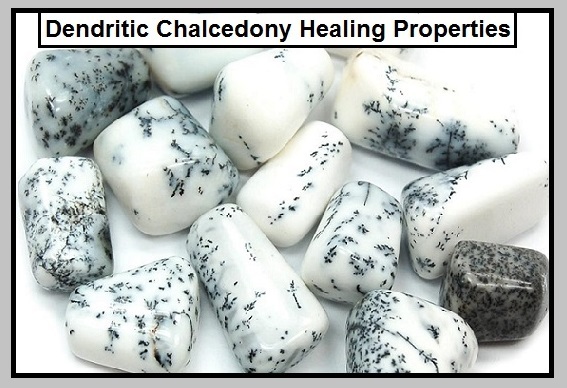 Chalcedony is a type of quartz that comes in many colors. 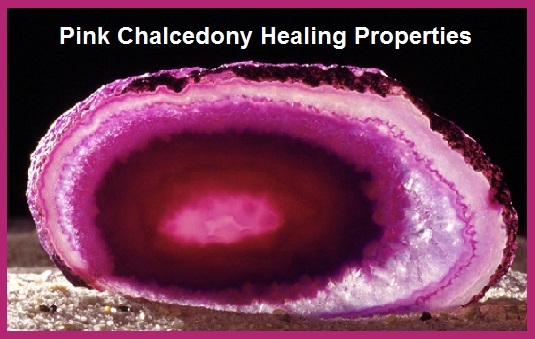 In Michael Gienger’s book, Crystal Power, Crystal Healing, he shares the following information on the healing properties of Chalcedony. Spiritually: Represents both aspects of communication; the ability to listen, to understand, and to communicate effectively. Emotionally: Bestows a light-heartedness, and elated feeling for life. It enhances conscious self-awareness, improves memory, calms and dissolves stress. Mentally: Improves powers of oratory, verbal dexterity, and increases creativity and openness to inspiration. Physically: Alleviates problems of the respiratory tract, lowers blood pressure, and enhances the immune system. It can also help with early stages of diabetes. Spiritually: Helps us live in the present, face unpleasant things, communicate calmly, and remain relaxed. Emotionally: Stimulates proper processing of inner images and memories. Helps develop open attitude towards fellow human beings and the environment. Mentally: It encourages both a proper sense of judgement and tolerance. Physically: Stimulates the metabolism of copper in the body, detoxification of the liver, and strengthens the immune system. Spiritually: Represents sociable nature which is able to discriminate clearly between its own spiritual goals and the influences of others. Emotionally: Encourages clear thinking and systematic research to identify what motives and values lie behind a piece of information. Mentally: Also encourages precise thinking to comprehend the real meaning and motives behind information received. 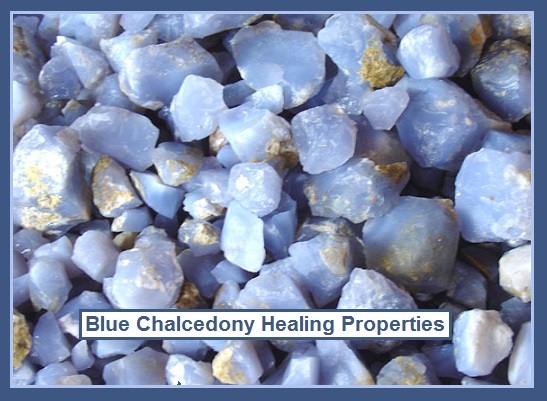 Physically: Its effects are similar but stronger that Blue Chalcedony in the case of chronic illnesses and the physical problems associated with smoking. Spiritually: Represents liveliness, understanding and helpfulness. It enhances the ability to listen and help others deal with their problems and sorrows. Emotionally: Encourages goodness, kindness, and warm-heartedness. It bestows a carefree attitude, inner peace, and deep trust, particularly in the case of conflicts and psychosomatic illnesses, such as anxiety about the heart. Mentally: Teaches us to view the world with a sense of wonder. It brings a child-like curiosity, the willingness to learn new things, and encourages the gift of story-telling. Physically: Offers liveliness and warmth. It fortifies the heart so it can function strongly without effort. It eases breastfeeding and provides the inner tranquility for the task. 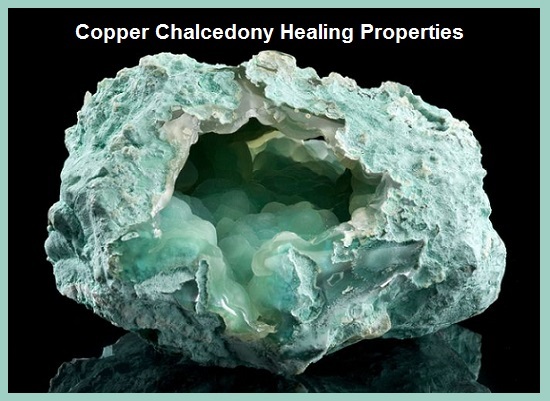 Just like the Blue Chalcedony, it enhances the immune system and the flow of lymphatic fluids. Spiritually: Bestows strength, persistence, the energy to overcome difficulties, and helps to attain set goals. Helps keep the mind flexible without sacrificing our own point of view. Emotionally: Gives us strength and confidence. Makes us aware of our own life’s dreams and helps to realize them without letting a fixation upon them arise. Mentally: Encourages openness and inspiration and fortifies our intentions, which makes it easier for one’s voice to be heard. Physically: Stimulates blood circulation without allowing the blood pressure to become to high. It inhibits the absorption of nutrients in the small intestine and reduces hunger pangs. 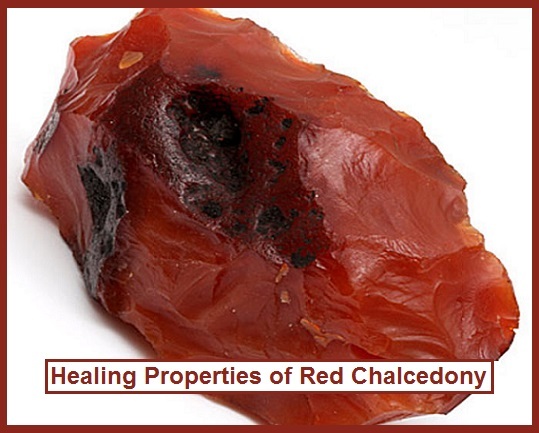 (Red Chalcedony should only be used continuously for about two – three weeks. Inhibiting the absorption of nutrients longer may induce temporary nausea).